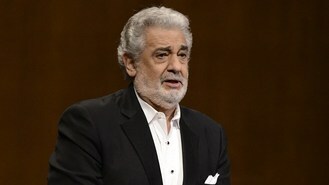 The opera singer has cancelled six performances this month in the Spanish capital while he undergoes treatment. The Three Tenors member said in a post on his Facebook page: "I will be feeling much better soon." He thanked fans for their support and said: "The saddest part of it all is being in my own city and unable to perform for Madrid's public." The singer's representative has said the 72-year-old is expected to make a full recovery after resting for at least three weeks. Doctors said the pulmonary embolism was caused by a blood clot.